JR Ueno Station, Asakusa Guchi 1 minute walk.Turn left at Fuji soba, on your left. 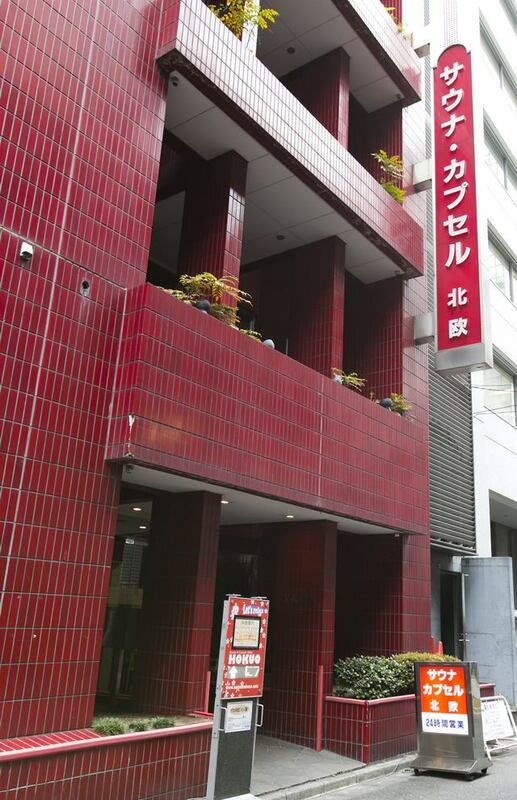 One minute walk from Ueno Station Asakusa Guchi! A red sign is a signboard in a bright red building! It will be the gateway to our hotel. Please elevate to 6F and check in immediately. I think that you can use it without hesitation easily even for the first time customers. 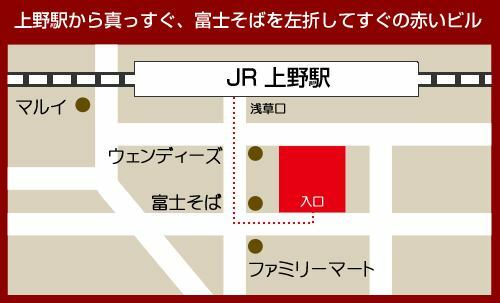 If you do not understand even by looking at MAP, please feel free to contact the hotel, we will inform you. Copyright (C) 2011 saunahokuou All Rights Reserved.